No, Toyota Isn't a Six Sigma Company. No They Didn't Create a Six Sigma System. If you do a Google search for "Toyota Six Sigma," the first result is from a company whose URL shows its roots. The domain is SixSigma.us. That tells me their origins are Six Sigma. I would link to them, but I don't want to give them the Google juice for doing so. 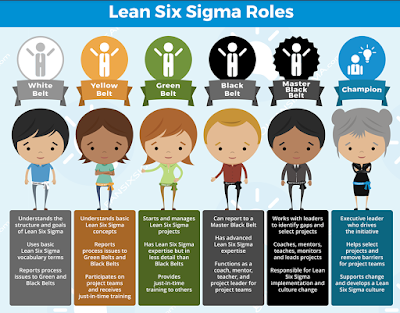 Six Sigma people often latch onto Lean to create and sell something called "Lean Six Sigma" or "Lean Sigma." That's what this company does. But far too often, as this blog has documented, the Lean Six Sigma people get Lean completely wrong. This company has created a bad, inaccurate webpage that seems designed to appear high in the Google search results (hoping the SEO benefit will lead to more sales in spite of how inaccurate the page is). They want to sell training and "Belt" certifications (Green Belts, Black Belts, etc.). The page is strangely titled: "Benefits of Toyota Production System (TPS)." If you find the actual Toyota TPS page, you will find zero mentions of Six Sigma... because Toyota does not formally use what the belt-peddlers would sell as a "Six Sigma" methodology. Toyota doesn't train belts. They don't do DMAIC projects. Toyota does use statistical methods, but that's due to the history of Total Quality Management (TQM). The company uses a huge Toyota logo, which isn't their intellectual property to use. "Toyota production system (TPS) is like a super charged Lean Six Sigma program." It's NOT a "Lean Six Sigma program" and it's a stretch to say it's "like" one. "Al the proven and intelligent methodologies of conventional TPS Six Sigma have been charged with immensely motivated team associates." "TPS Six Sigma" is not a thing. "TPS is the outcome of such powerful Lean Six Sigma team associates sigma, which leads to high performance culture and lets employees to know their full strength." TPS is not an "outcome" of "Lean Six Sigma." I'm not sure what that sentence even means. 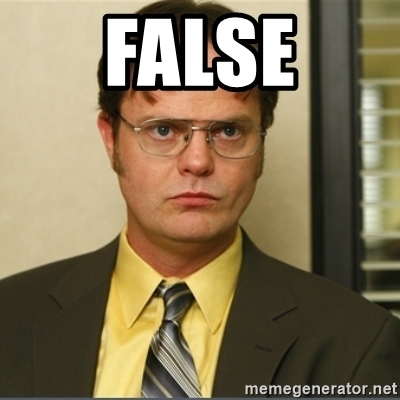 "Toyota Motor Corporation created this Six Sigma system..."
What Toyota created is NOT a "Six Sigma system." This page is "fake news." Generally, TPS consists of two pillars such as Just-in-Time and Jidoka. The Toyota TPS page confirms those two pillars. But, again, the page claims there is a Toyota Six Sigma strategy. Below discussed are some of the TPS’s (Toyota production system) Six Sigma strategies:"
I don't think this is true at all. It's been said that the Toyota dealers (independent companies) don't really use TPS. I'd like to see evidence of dealers using "setup reduction" methods. "Dealers Participation: Toyota treats its dealers as company partner, as integral part of TPS (Toyota production system). Dealers are also well familiar with ways to decrease setup times, defects, inventories and machine breakdowns and take responsibility to render their best possible outcomes." "The Toyota Production System blends attitude, notion and specific techniques into a structured socio-technical Six Sigma system for manufacturing. Gradually, this Six Sigma system spread around Japan and finally to the West, and started gaining other names and variations. Toyota itself was not having any name for its manufacturing strategy until the 1970’s." Again, Toyota did not create or spread a "Six Sigma" system. Six Sigma has American origins, at Motorola. It didn't spread TO the West. Toyota certainly didn't give the "Six Sigma" name to its strategy in the 1970s, since the term "Six Sigma" hadn't been created yet for a methodology like this. "Contact us at 6Sigma.us and find out how we can positively help you plan and change the culture and operations of your organization. We offer Green Belt and Black Belt training programs, as well as a Master Black Belt program." Offering Belts that Toyota does not use or offer internally. That page is a disaster. It's inaccurate and badly written. But, they've figured out how to game the Google search results system. The new version of "buyer beware" is "searcher beware." You'd like to think Google would point you to accurate and reputable sources, not some "fake news" Six Sigma site. What a shame. Why are we so obsessed with tools? This is from a healthcare consultant's website.... Lean is just a bunch of tools? That's not what Toyota says... it's also a management system and a culture. Is the "tools in the toolbox" mental model holding back Lean and holding back healthcare? Remember that these are tools and methods. Is a hammer better than a screwdriver or saw? Each tool is appropriate for a specific task or function. In our experience, the Lean toolbox is the place for most organizations to start. Lean is intuitive and easy for managers to put into practice. Lean methods lay the foundation for "process and flow thinking." However, most organizations find that they will rapidly need the rich statistical toolbox of Six Sigma. This is especially true when dealing with complex issues of patient flow when the obvious improvements have already been completed. I've also never found an organization that's run out of "obvious improvements." This toolbox view can perhaps drive short-term improvement... but is that it? I received a promotional email from a company that makes money by training and certifying belts. This infographic lists six roles... I was curious if I could find six things wrong with the diagram and the assumptions of many approaches to "Lean Six Sigma." Click on the illustration for a larger view. For one, the emphasis is on training and projects. That's, at best, a starting point for the adoption of a new management system and an organizational culture. Two, why do you need so many levels of belts. The only apparent difference between White and Yellow belts is that White Belts aren't allowed to participate in projects? Why would you exclude any employee's input? That sounds like an excuse to sell yet another belt for another fee. Three, I'll emphasize that everybody should be involved in improvement (that's the Kaizen approach within Lean)... and, again, not all improvements should be considered a "project." Small "just do it" and PDSA style Kaizen improvements are small and don't require project formality. Four, why are process issues being reported to Green Belts and Black Belts? Where is the role of the actual managers of areas in which the belts work? A better Lean approach would have direct supervisors, managers, directors, and above being made aware of problems and opportunities for improvement, not just belts. Five, can a "Master Black Belt" really be "responsible" for implementation and culture change? That's the role of executive leaders. Six, "champions" shouldn't just support change, they should be directly involved by setting goals and direction... and clearing obstacles along the way. Well, I found six problems or concerns. What about you? Just because you're an "adjunct professor at Georgia Institute of Technology’s Scheller School of Business" doesn't mean you can't be wrong about Lean. The professor, who has a deep background in Six Sigma, maybe shouldn't be teaching about Lean. I'm not qualified to teach about Six Sigma, so I don't try telling people what Six Sigma is about. I do know Lean pretty well. "Six Sigma uses the DMAIC (define, measure, analyze, improve and control) method to reduce defects. Lean, derived mostly from the Toyota Production System, focuses on cycle time reduction by eliminating non-value-added steps." The implication is that Lean doesn't help reduce defects. The implication is that Six Sigma is the only way to reduce defects. That's all untrue. See the Toyota Production System page that explains how Lean is about improving flow AND quality. Improving flow leads to better quality. And, Lean has methods (tools like error proofing and management mindsets) that very directly improve quality. I wish Six Sigma people would stick to teaching about Six Sigma. Would you let a physics professor teach biology? Would you "merge" the departments into something called "Physology" or "Physics Biology?" That's my problem with Lean Sigma... the incorrect things that get said about Lean. Ah, the irony of an article that seeks to dispel "myths" about Lean Sigma then going and spreading an unfortunate myth about Lean. "By only doing Lean [and not Six Sigma] you sacrifice the benefits of quality." This is just factually incorrect. Again, I'll point you to the Toyota web page for the Toyota Production System. TPS is about flow AND quality. They go hand in hand. Better flow leads to better quality, and vice versa. Stop saying Lean alone would hurt quality. Somebody who doesn't understand Lean might go "implement Lean tools" in a way that hurts quality, but that's their fault (yes, I'll blame somebody) and not the fault of Lean.